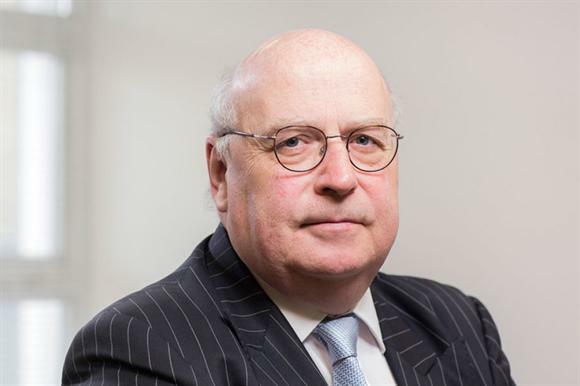 Charities were operating in a "bubble" and had not understood the views of beneficiaries ahead of the referendum on membership of the EU in 2016, Sir Stuart Etherington, chief executive of the National Council for Voluntary Organisations, has said. Speaking yesterday evening at a panel discussion on what Brexit means for charities, hosted by the law firm Russell-Cooke and the charity accountants Sayer Vincent, Etherington said that charities had been "a little bit disengaged" from many people’s views of issues such as globalisation and the EU in the run-up to the referendum and "thought it would be OK on the night". He said: "We exist in a bubble sometimes, and we are not necessarily as connected as we should be with the communities that we represent. "If we listened more closely to those communities, we would have known this was a lot closer. "We should have had a relationship with the government that would have allowed us to communicate what we were hearing on the ground." Etherington also heavily criticised the Charity Commission’s guidance for charities wanting to speak out on Brexit, and said the regulator made "a complete dog’s breakfast" of the situation. The regulator had faced severe criticism at the time for publishing guidance before the referendum that many charities felt was too restrictive, and which was later revised. Etherington said that the NCVO and several law firms had challenged the guidance with the commission, leading to its eventual withdrawal, and the regulator had had "a clear Brexiteer" on its board at the time the guidance was issued. Gwythian Prins, then a board member for the Charity Commission, published an anti-EU essay for the Historians for Britain group weeks after the commission’s guidance was released in 2016. "The regulator was operating completely incompetently during that period," Etherington said. "Charities are regulated and will listen to what their regulators say." Etherington added that Brexit had understandably crowded out everything else from government priorities. "Government is not engaged," he said. "It has become, in a sense, dysfunctional because it is focused on only one issue." Also speaking on the panel, Caron Bradshaw, chief executive of the Charity Finance Group, said that charities needed to speak up for beneficiaries about the impact Brexit could have on their lives. "We probably ought to be getting out there more into our communities and getting out into those areas that voted Brexit to find out what need is not being met," she said. "Let’s get in there and do something about it. But let’s not beat ourselves up that we did not say enough beforehand. We are where we are. Let’s move forward." Clare Pelham, chief executive of the Epilepsy Society, said that more could have been said in the run-up to the referendum, but since the vote had taken place many organisations had "moved a little bit from complacency to complaining" about Brexit. She said she wished charities could do more to help to address the issues Brexit had raised, rather than sitting back and saying how unhappy they are about things. Pelham said: "Are we perhaps some of the complacent metropolitan elite who thought we knew how it was all going to be?"